Beautifully updated, Ranch-style home offers great 1 level living w/its 3 Bedrooms, 2 Full Baths, 2 Car Garage w/an addl 1 car attached garage for storage/hobbies.Boasting newer thermal/tilt windows, vinyl siding & architectural shingle roof. Newer luxury, vinyl-plank flooring throughout. Spacious Master Bedroom w/ walk-in closet & updated ensuite Full Bath w/newer vanity, toilet, shower/tub & flooring. Entertain in the spacious Living Room with its decorative, brick fireplace(non-functional). Adjoining is a large Breakfast Room & Kitchen w/newer stainless appliances, newer white cabinetry & flooring. You will love the convenience of the 15 X 10 Laundry/Mud Room. 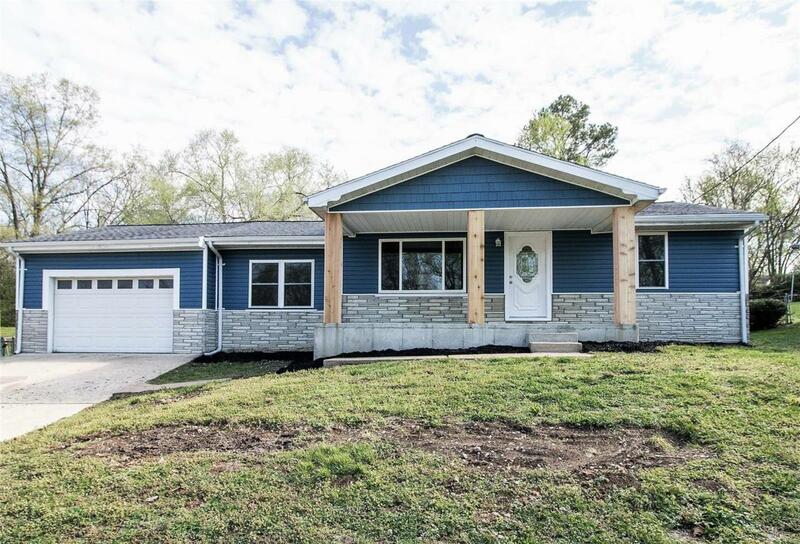 Addl features: Updated Hall Full Bath, newer doors, trim, moldings & lighting, some newer plumbing, newer HVAC, new septic in process of being installed, Lg Covered Patio, leaded glass front door, some newer insulation, newer water heater & thermostat...Plus More! HSA home warranty on this property for buyers peace of mind.